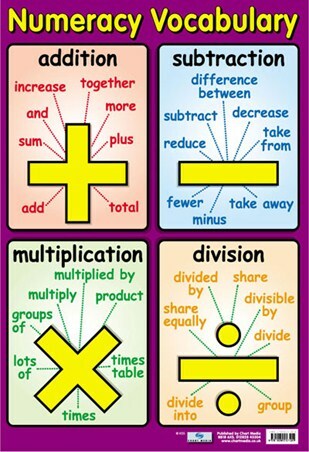 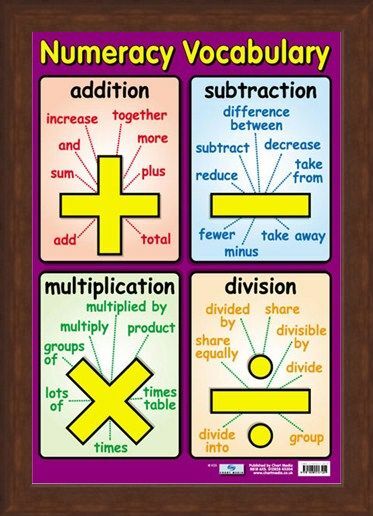 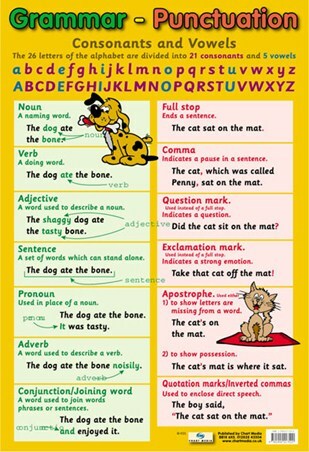 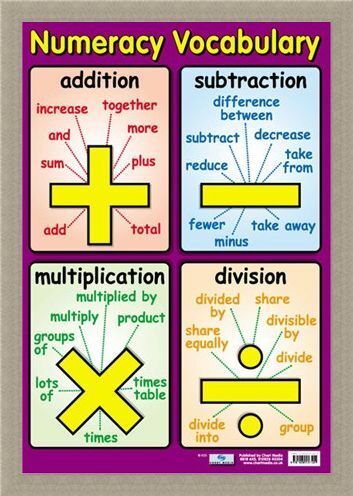 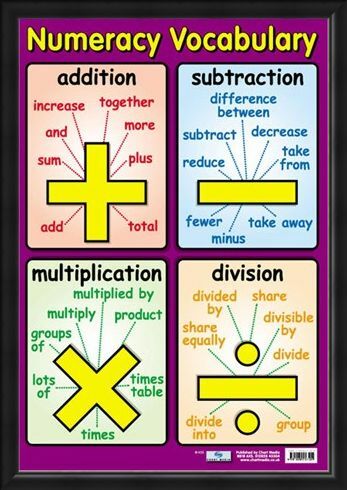 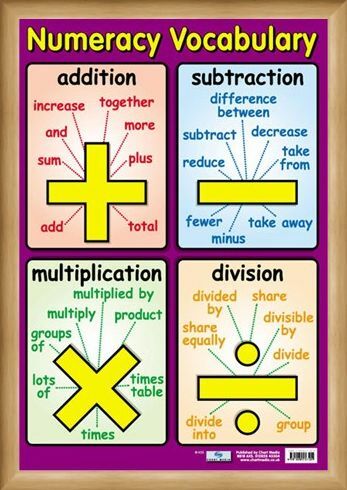 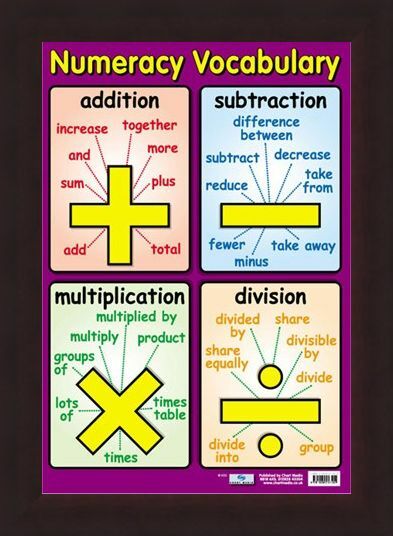 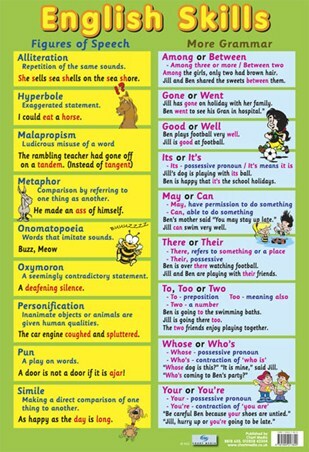 Numeracy Vocabulary Mini Poster: Why not learn two subjects in one with this numeracy vocabulary poster. It's bright bold layout will have your child wanting to learn all about the four main mathematical processes as well as a range of different words associated with them. 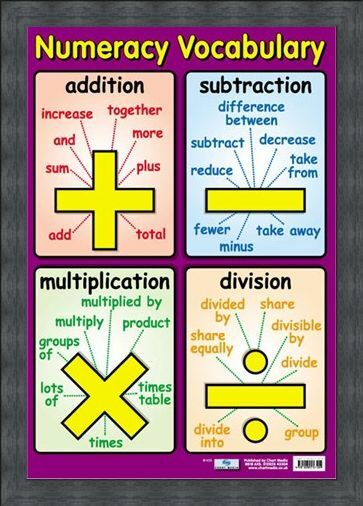 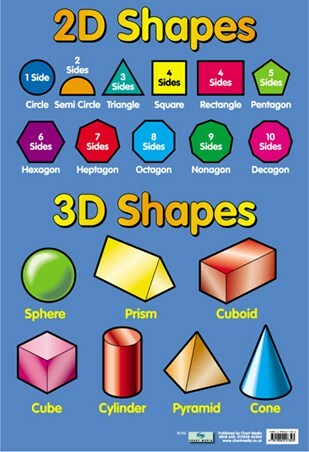 Addition, subtraction, multiplication and division are divided into sections, each containing the name of the process and it's mathematical symbol surrounded by lots of different words that can also be used to describe it. 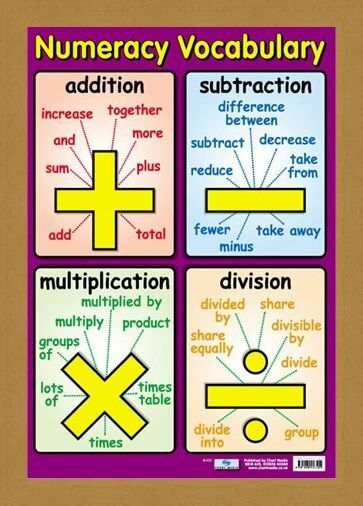 Throughout life, your child will encounter situations where they need to use basic maths so spread the word and help your child learn for the future, today. High quality, framed Numeracy Vocabulary, Talking Maths mini poster with a bespoke frame by our custom framing service.